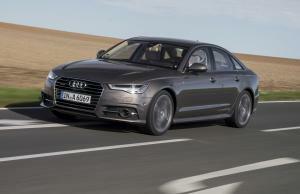 Audis were the fastest selling make of car on the Auto Trader website last month, the company has revealed. Figures from Auto Trader, the country’s leading digital automotive marketplace, showed that while the German car maker proved to be the UK's most popular in April, when the data is broken down by region, the results vary greatly. For example, in four regions the 2012 Nissan Qashqai topped the list of the fastest selling cars, but this was still not enough to earn it a place on the overall top 10. Karolina Edwards-Smajda, Auto Trader trade solutions director, commented on the findings: "The April data continues to demonstrate the importance of pricing to the live retail market to optimise speed of sale. "On average, cars in the top 10 were 99 per cent aligned to their optimal price position, based on our comprehensive retail price intelligence." She added that the regional figures also underlined the need to adopt a local view to demand and sourcing strategy based on regional desirability. She cited the example of the 2012 Citroen DS3, which may have been the fastest selling car in Yorkshire, but it only appeared in 178th place nationally.